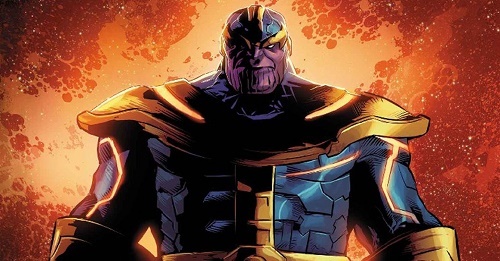 Writer Jeff Lemire and artist Mike Deodato have brought to comics a feature depicting the titan villain Thanos in his own series. Thanos has haunted the Avengers, Spider-Man and many others in the Marvel Universe since his first emergence in the comic world in 1973. In the latest story that unfolds in Thanos #1, evil has been unleashed on the universe. Thanos, possibly the most evil individual in the Marvel Universe, is back and he’s out for vengeance on all who would oppose him. Unfortunately for the Mad Titan, he’s also heading for an unexpected reckoning with his family. Take an ongoing walk on the dark side of the galaxy, following the deadly trail of destruction left in the wake of Thanos. If you enjoyed Thanos in Guardians of the Galaxy Avengers: Age of Ultron and other marvel film adaptations this is the comic for you. Covers by Mike Deodato are usually worth checking out in their own right. Thanos #1 is available in comic book stores everywhere from November 16th.